Pradyumna: Son of Krishna by Usha Narayanan is the retelling of the story of Pradyumna who was the son of Lord Krishna, an incarnation of Kama (God of Love) and one who later went on to become a great warrior. With a very imaginative dose of fiction thrown in, this is a very promising attempt by the author to recreate that glorious era of great Kings, magnificent yet deadly battles that created and changed the course of history and the time when Gods ventured the Earth as mere mortals. The cover is beautiful and attractive. The blurb is intriguing and instantly attracts the readers' attention towards the book. Indian Mythology has seen a sudden demand with more and more authors taking up well known historical Indian mythological stories and characters to write fictional stories of their own and while this has a definite appeal to us, readers, it also is like a double edged sword where too much imagination and distortion of known facts act as negative pointers for such books. I recently read Amish's Scion of Ikshvaku and felt getting bored with so many changes happening to characters I had read about since childhood and somewhere this fictional account didn't agree with me. 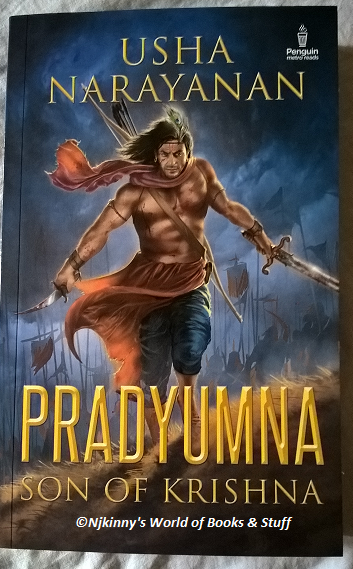 But here in Usha's book, Pradyumna: Son of Krishna, I am happy to say that the author expertly balances the known story with fiction and gave me a story that while upholding the facts also entertained me with vivid descriptions of events, characters and places, creating a real like picture in my mind. I was easily transported to the era of Kings and Queens with lavish palaces, wearing rich silks with an abundance of jewels adorning their bodies and the ongoing threat of wars from humans and demons alike. A time when Gods had taken the avatar in human form and one in which the world was so different from our present times. I have enjoyed reading Usha Narayanan's previous book, The Madras Mangler and she proves her writing prowess in this book too. 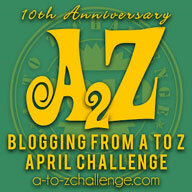 Jumping genres from crime to mythology, her writing is engaging, vivid and easy to understand. She uses simple language but still manages to create a mental picture in the readers' mind and succeeds in connecting the reader with her characters. Her language adjusts beautifully with an era when the designations, terminology and speaking patterns were so different from today. Everything right from the world building to character development to dialogues to the plot looks realistic and approachable. The description of even the intimate scenes, the scenarios and the emotional state of characters is classically done without any crudeness seeping in. I enjoyed reading about Pradyumna and some of my favourite characters from Indian mythology again and despite having read and listened to their stories since childhood, the book still managed to make me feel like I was meeting them for the first time. I stayed glued to the book right till the end and was thoroughly entertained. All in all, Pradyumna: Son of Krishna is a beautifully written story that had me entertained throughout. 4.5 out of 5 to it and recommended to all book lovers. I hope there is a second part to this book and am eager to check it out. I received the book from the author and the publishers and I am very thankful to them. The above review is my honest and unbiased opinion and in no way influenced. What do you think of the book? Is this a book you would pick up to read?